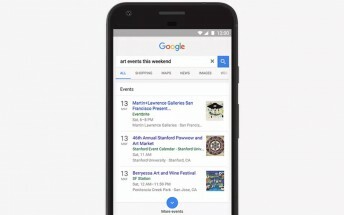 Google Search is adding a new feature today that will easily guide you towards events nearby if you use it on your phone. 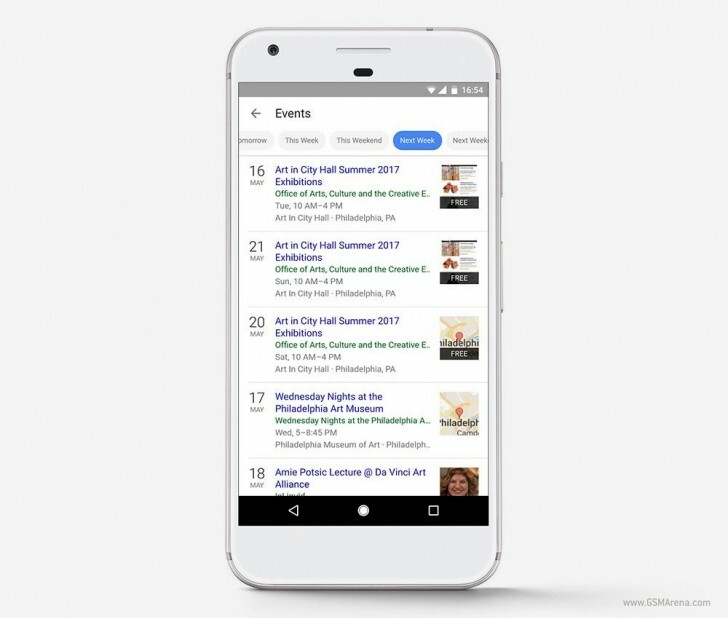 The new events functionality is available in the US at first, through the Google app for Android and iOS, as well as the Google Search mobile website. You can search for things such as "jazz concerts", "art events", and you'll get a special list filled with at-a-glance details about the upcoming events. You get additional options if you tap More events, and when you find something you like just tap on that and you'll be able to immediately buy tickets for it. It's also possible to look up things coming up on specific dates, using filters such as "today", "tomorrow", or "next week". If you want to go the opposite route and have everything thrown at you, just search for "events near me" and you'll be shown all the different options. As always with new Google features, it's unclear when or if you'll see this outside of the US.